Many people believe that certain drugs cannot be abused because a doctor has prescribed them. However, prescription drugs are very powerful and highly dangerous substances that can lead to addiction. This is particularly true with opiate pain medications like Oxycodone, Oxycontin, Hydrocodone, Vicodin, Percocet and the like. Once an addiction to the medication has developed, it is not unusual for illegal measures to be taken to obtain the drugs. Attempting to obtain CDS by fraud has therefore become more and more common throughout Ocean County including the nine towns that ranked in the highest 45 for opiate abuse in the state, namely, Brick Township, Toms River, Lacey, Jackson, South Toms River, Little Egg Harbor, Beachwood, Barnegat and Manchester. Nevertheless, drug offenses such as prescription fraud are very serious, and can result in heavy repercussions including a permanent criminal record and imprisonment. At Law Offices of Jonathan F. Marshall, our lawyers understand how stressful it can be to face an offense for obtaining cds by fraud. If you have been charged with a prescription fraud, the eight attorneys on our defense team are highly qualified to defend you and will do whatever is necessary to reach the best result in your case. 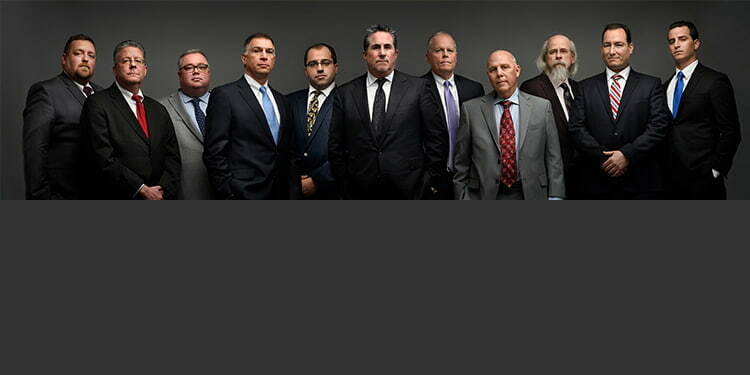 We have over 100 years of combined experience defending clients in Toms River at the Ocean County Superior Court. We even employ an attorney who is a former prosecutor in the county. A lawyer with the tools to protect your interests is ready to undertake a free review of the facts and circumstances surrounding your arrest and provide you with insight as to how we can help you. Contact our Toms River Office at (732) 286-6500 for a free consultation. N.J.S.A. 2C:35-13 is titled “obtaining by fraud” and applies to any effort to misrepresent, forge or deceive in order to acquire a controlled dangerous substance. This offense is often issued in tandem with theft by deception to obtain prescription medication and prescription forgery. This law makes it illegal for anyone to “acquire or obtain possession of a controlled dangerous substance or controlled substance analog by misrepresentation, fraud, forgery, deception or subterfuge.” In order to convict someone accused of violating 2C:35-13, the prosecutor must establish that: (1) the defendant acquired or obtained possession of a controlled substance; and (2) used misrepresentation, fraud, forgery, deception, or subterfuge to obtain the prescription drugs. This is a third degree crime under New Jersey Law. However, the normal penalties set forth for this grade of offense are enhanced from what they would they would otherwise be under N.J.S.A. 2C:43-3. While the same maximum jail/prison sentence applies to obtaining CDS by fraud, the fine escalates under 2C:35-13 to $50,000. What this means is that you may be imprisoned for as much as 5 years and fined $50,000 for violating this law. These penalties are in addition to having a felony criminal record upon conviction for this charge. If you have been charged with the offense of prescription fraud, you need an experienced attorney on your side. Law Offices of Jonathan F. Marshall has been representing individuals in your situation for over a century and will fight to protect your legal rights and get your charged dropped. We have the expertise that you need, and have represented individuals at the county courthouse in Toms River and in the municipalities throughout Ocean County. Contact us to discuss the specific of your charge with one of our lawyers. Initial consultations with attorneys on the firm's staff are always free of charge and we can be reached 24/7 at (732) 286-6500. A lawyer is ready to assist you now. Our firm, Law Offices of Jonathan F. Marshall, 250 Washington Street, Toms River, NJ 08753, defend clients charged with obtaining cds by fraud in Brick Township, Toms River, Lacey, Jackson, South Toms River, Little Egg Harbor, Beachwood, Barnegat, Manchester and elsewhere in Ocean County.